Our selection of Lewes vacation homes and summer rentals include stylish condos, family homes and elegant townhouses, with many of the communities benefiting from outdoor swimming pools, tennis courts, community barbecue, and more. You’ll find yourself rubbing shoulders and fitting right in with the locals. Located where the Atlantic Ocean and Delaware Bay meet at Cape Henlopen, you’ll enjoy mostly calm waters, and with the Lewes Beach life-guards manning their posts throughout the summer months this coastal location makes the perfect spot for family vacations and seasonal getaways. You’ll also find a selection of our Lewes rental properties are pet-friendly, so you can bring along every member of the family – even your four-legged friends! When the beach becomes a little too laid-back for your liking, or you fancy a little exercise, you are in close proximity of Cape Henlopen State Park with it’s many hiking trails and all the natural beauty the area has to offer. 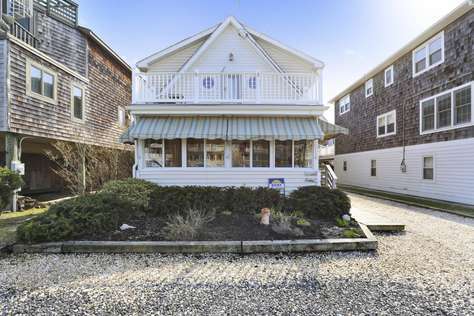 During the off-season, many of the Lewes beach short-term rental properties are available for a minimum of 3-nights making them ideal for a long weekend. This increases to 7-nights during the summer months, when Lewes and the surrounding beach resorts turn into ‘summer vacation central’. This is a popular spot, not only due to the beach but also since there are so many great restaurants, bars and a variety of entertainment available to visitors. Take a closer look at some of our Lewes Rental properties and book your next vacation to coastal Delaware. Annual Lewes Garden Tour, 2019 – date to be announced! Book your Lewes vacation rental property online today.